Samyuktha Hegde Profile : Samyuktha Hegde is Indian Kannada Actress and Profession dancer who is belong to Banglore, India. 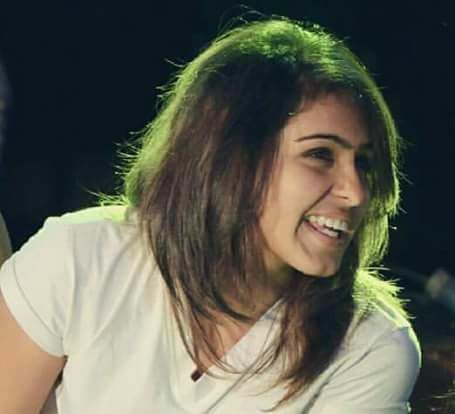 The 18 years old Samyuktha Hegde who debut in Kannada Movie 'Kirik Party' is now turned part of MTV Reality youth show Roadies Rising as contestant. She is selected in Roadies Rising during Pune audition and got entry in Rannvijay Singha Gang. Samyuktha Hegde in MTV Roadies Rising: The most popular youth reality show MTV Roadies is coming back with another new season. After completing a successful previous season of Roadies come back with new name Roadies Rising. So now after reading this post you have a lot of Information related to the MTV Roadies Rising Samyuktha Hegde and If you have any more queries for her then you can ask it in the comments below. Keep sharing,Commenting and Promoting this page. We are soon going to share information related to other contestants of MTV Roadies Rising, till then Keep visiting us.